KARA : [CALL TO ACTION ] Let’s shut down illegal dog farms together! Home / Blog / KARA : [CALL TO ACTION ] Let’s shut down illegal dog farms together! Photo: South Korea’s dog farm. 가칭 동물구조119. Sharing from Korea Animal Rights Advocates (KARA). 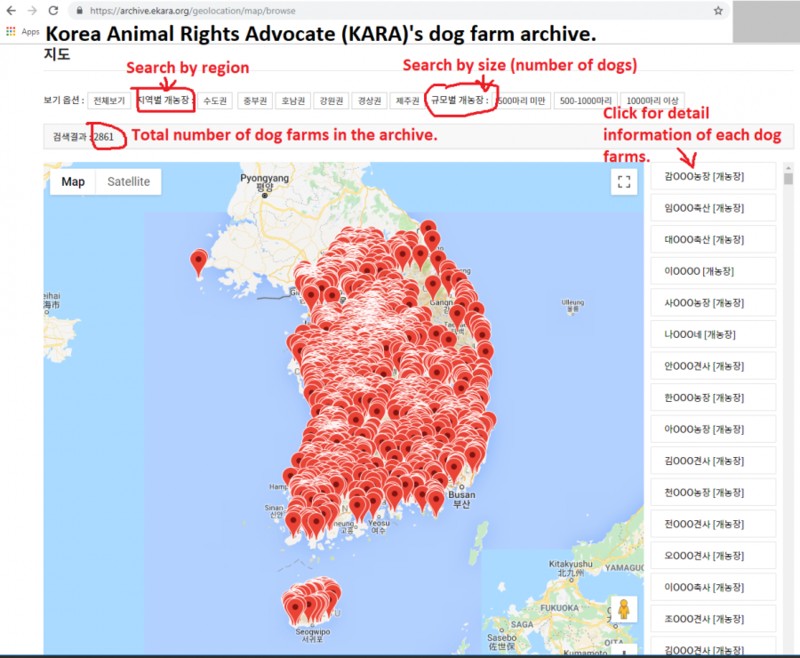 If you discover a dog farm that is not included in the current KARA archive map, please report the exact address of the dog farm to KARA and file a complaint with the relevant local government. Your reports can lead to administrative action, which can ultimately lead to the closure of the dog farm. Under the current legislative Act on the Management and Use of Livestock Excreta, any dog farm larger than 60 square meters is subject to registration as a waste emission facility. According to the Ministry of Environment, there are about 3,000 registered dog farms nationwide, but the actual number of dog farms is expected to be much higher. KARA has created an archive map marking the locations of registered dog farms, and seeks to find illegal dog farms that are not on this map. Dog farms that are not included in the KARA map are farms that have not registered as required under livestock waste law, and can be shut down through administrative actions by the appropriate authorities. If you discover an illegal dog farm, you should file a complaint with the relevant local government so that it can be shut down! 1. Confirm the address of the dog farm! – Search by the street address of the dog farm in the KARA Archive. – Check whether the address exists in the search results. Click HERE to search KARA archive. 2. 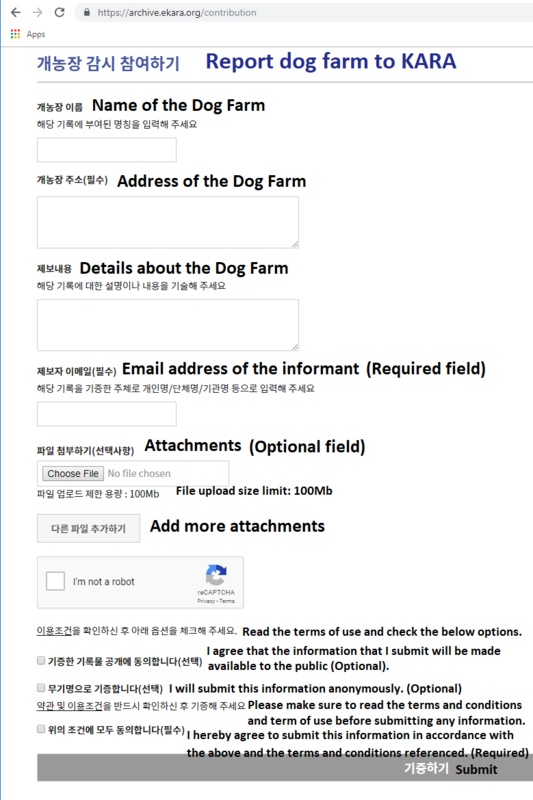 Report the address of the dog farm on the archive participation page! – If the address of the dog farm did not exist in the search results, go to Farm Surveillance Participation> page. – Enter the name of the dog farm, the address, any other details and your email address. Click HERE report dog farm to KARA. 3. Click HERE to send a complaint to the relevant local government (civil petition) by epeople! Under the current Act on the Management and Use of Livestock Excreta, any dog farm larger than 60 square meters is subject to registration as a waste emission facility. Any illegal dog farms operating without proper registration must be subject to suspension of operations and order of closure in accordance with Article 17 of the Enforcement Regulations. The farm specified below is suspected to be an unregistered facility and has been contributing to pollution of the environment and thus requires urgent administrative measures! 현행 가축분뇨법상 60㎡ 이상 개농장은 배출시설로 신고대상에 해당합니다. 신고되지 않고 운영되는 불법 개농장의 경우, 동 시행규칙 제17조에 따라 사용중지 및 폐쇄명령이 내려져야 할 것입니다. 아래 발견한 개농장이 미신고된 시설로 의심되며 환경오염으로 악영향을 미치고 있는 만큼 신속한 행정처분이 이뤄지길 촉구합니다! Koreans outdid even the Chinese and Vietnamese in their primitiveness and heartlessness !!! Shame on them !!! 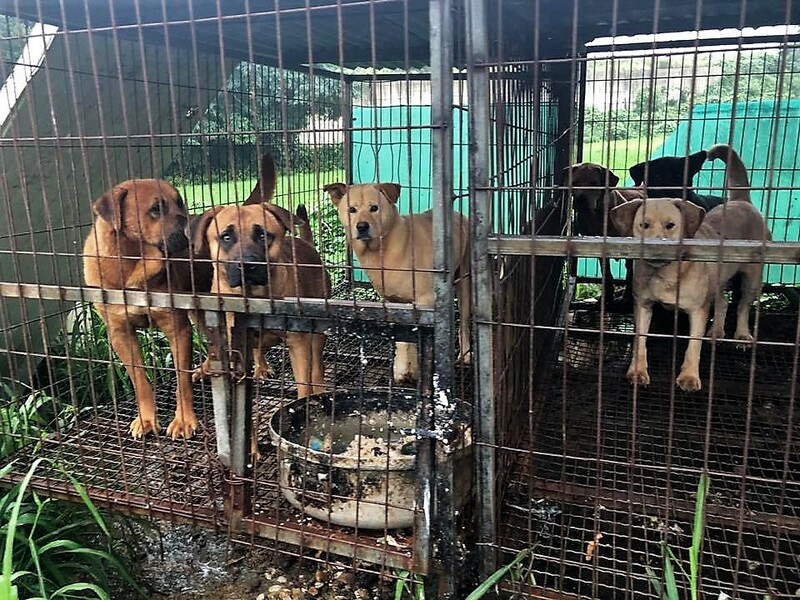 BOYCOTT ALL SOUTH KOREAN PRODUCTS….HAVE YOUR FRIENDS AND FAMILIES DO THE SAME. write the companies thwew AND LET THEM KNOW YOU HOLD THEM ACCOUNTABLE,, TOO. BOYCOTT SOUTH KOREA! So Shame !